ONLY GENUINE INTERNATIONAL BACKPACKERS ACCEPTED. MINIMUM AGE 18. 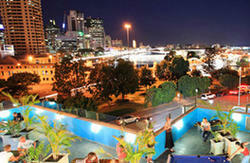 Centrally located in the music and cultural hub of the valley, 5 minutes to City & South bank. 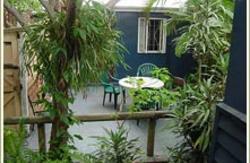 Casual & Cool this small backpackers has a cosy feel and is the perfect city oasis to put your feet up. Maximum 6 share dorms with most rooms twin & doubles. 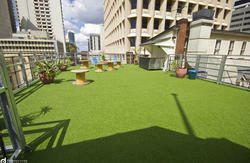 Great for those saving and working in Brisbane and also those who want to have some fun. To ensure your health and safety as a small working hostel we have taken the trouble to eradicate all bedbugs, rodents and pests at a regular rate, so when you arrive you are given clean sheets (as you are not permitted to use your own sleeping bags or bedding) and we ask that you take the time to strip your bed of the sheets and bring them to reception upon checkout. We also guarantee the best rates in town and awesome value for money. Support the small operator and book with us today and be treated like a real person and be part of the family, not just a number. Limited number of spaces if you want to utilise your Campervan and use the facilities, contact us directly for prices and availability. In the interests of security, all guests are required to produce government photo ID on check-in e.g. passport/drivers license. We also ask for a $20 cash key deposit per key. THIS IS NOT A 24HR HOSTEL. If you are arriving from the Airport, go to the information desk as you come through the gates and find the kiosk for Coachtrans, they deliver you right outside the hostel. Closest Train Station is Brunswick St Station. Come out of the station and turn left, head up the Brunswick St mall, Blue Tongue Backpackers is approx 4 blocks or 10 minutes on the right hand side of the street. Front & Back Entrance with limited FREE parking for your convenience. You can jump on the local bus 199 to New Farm, that will drop you off right outside the hostel gates. Jump on Bus to Brunswick ST in the valley and find us at 515.